Alfalfa’s roots, both historically and literally, run deep. 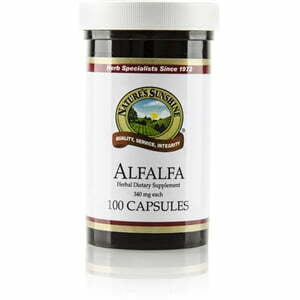 Historically, Alfalfa has been used as a nutrient-providing food for over 2,000 years. The Spanish, in particular, found it useful in curing or stabilizing various health issues, and the Arabs called it the “father of herbs.” Alfalfa’s literal roots burrow 20 feet or more into the ground, reaching rich nutrients that other plants with shallow roots never find. 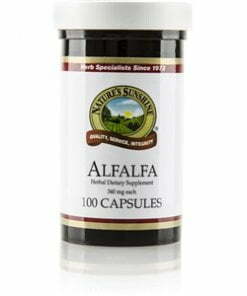 Nature’s Sunshine’s 340 mg alfalfa capsules provide a rich sources of vitamins, minerals, protein, fiber, amino acids and more to support health.